Description: A free customizable conceptual website diagram template is provided to download and print. 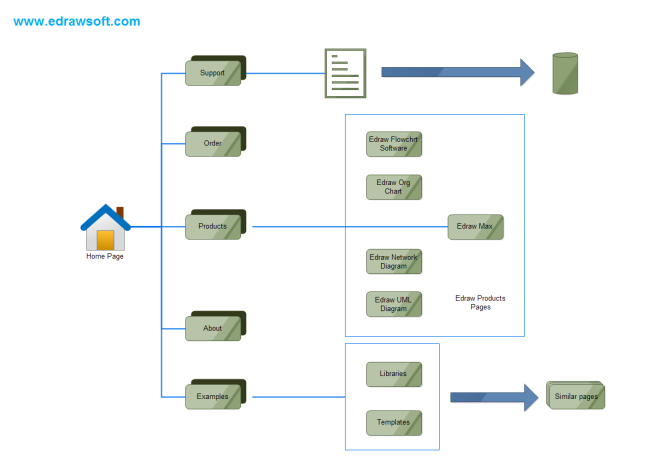 Quickly get a head-start when creating your own conceptual website diagram. Using it to design a conceptual website can compress the process into only several steps. Share, discover and update wireframe templates in the professional content sharing community. With Edraw Max, you can edit the free wireframe template for personal and commercial use.